Spoiler Warning: This article contains spoilers for Chapter 6’s ending in Red Dead Redemption 2, the first Red Dead Redemption, and the end of Grand Theft Auto 5. The epilogue remains unspoiled though, as I haven’t finished it yet, so this article is focused on Chapter 6’s finale. Enjoy, and beware of spoilers if you haven’t reached that point yet! The gang in Chapter 6 of Red Dead Redemption 2 is unrecognizable from its warmer (though already fractured) beginnings. Shattered, angry, bitter. Loyalty between members is almost non-existent. In hushed whispers, characters make back-up plans to escape. Protagonist Arthur Morgan, withering away from tuberculosis, knows the end is near. Not just for him, but for the gang too. The doctor’s diagnosis wasn’t his wake up call though—it was gang leader Dutch van der Linde drowning Italian crime lord Angelo Bronte in cold blood. Arthur looks to John Marston uneasily, the eventual hero of Red Dead Redemption, and John looks back to him with the same feeling. The gang is fucked. And we’re all fools for not seeing it sooner. Across Red Dead Redemption 2, you’re faced with decisions. Most are subtle, touching upon your Honor meter and what is right or wrong. Others come in missions, and usually amount to helping someone or not. (After helping someone, it typically rewards you later.) The end of the main story in Chapter 6 is no different either; Arthur is faced with another choice. But it’s not a hard decision to make at all. And Arthur, also frustrated with how Dutch has evolved, is barely hanging on. Every mission in the chapter is bookended with a coughing, exhausted Arthur; an Arthur who’s wilting, who wheezes before collecting himself to jump back on his horse. Where in Red Dead Redemption, John Marston goes out with a bang, we see Arthur following the same inevitable fate with more of a whimper. But Arthur’s luckier than most, fellow gang member Charles Smith tells him, because at least he has the chance to do good for the people he cares about one last time, unlike Lenny, Hosea, and everyone else who met a cruel and sudden fate. This makes the final decision of Chapter 6 all the more baffling. 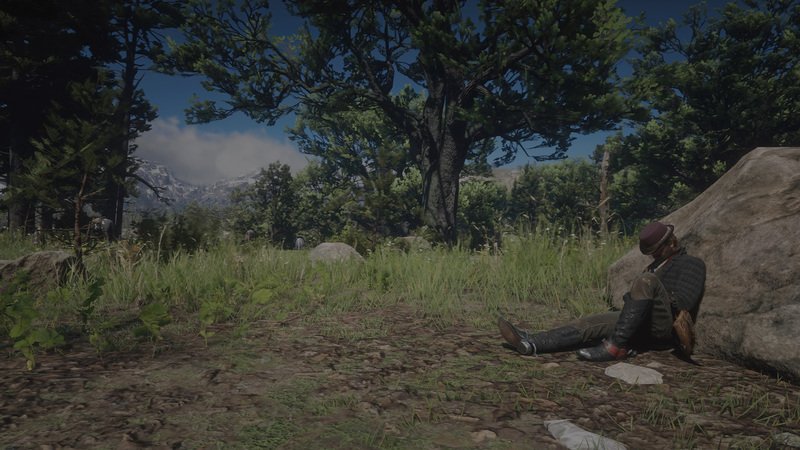 After the train robbery goes wrong (quelle surprise), John is presumed dead after being shot and Dutch leaves him for dead (much like he did to Arthur earlier in the chapter). In the chaos, Abigail Marston gets captured by the government, to be tried for murder. Sadie and Arthur ride to rescue her against the wishes of Dutch, who downplays her importance to the gang. There, they learn the rat was Micah the whole time, and during a tearful farewell following the rescue, Abigail slips Arthur the key to Dutch’s stash. Arthur returns to camp, knowing this is it. A Reservoir Dogs-esque stand-off soon ensues. Arthur’s gun is pointed at Micah, Micah’s at Arthur, Dutch’s guns are pointed at… both of them. John shows up alive and not-so-well, and sides with Arthur. Dutch turns one gun away from Micah to John. Then the Pinkertons show up, as they always seem to at inopportune moments, and everyone starts firing away. John and Arthur manage to run through the caves, escape with their horses on the other side, and ride away until their horses are killed. This is where the choice comes in: Arthur can help John escape, or go back to the caves and get the money from Dutch’s stash. Why the hell would Arthur want the money? Over the course of Chapter 6, and by extension the entire game, Arthur’s trust in Dutch and the gang as a whole has been waning. Long prior to the events of Red Dead Redemption 2, the gang were arguably good people. They stole from the wealthy, and distributed it to those in need. They actually helped people, like the Wild West’s own Robin Hood. In the early goings of Red Dead Redemption 2, Dutch frequently spouts his dreams of a society where inclusivity and mutual respect are common traits of America rather than greed and selfishness, blissfully unaware that he has already succumbed to such ideas. In Chapter 6, as Arthur’s health falters to the point where even his comrades suggest he snipe from a distance in missions rather than run around with the rest of them, Arthur knows his time alive is limited. He makes the most of it too; he doesn’t want to lie in bed waiting for tuberculosis to claim him, he gets out there like everyone else and continues living his life—even as it aches him. With all this at the forefront of my mind while playing the final moments of Arthur’s story, I was baffled why the end was even left to a button-prompted choice. Grand Theft Auto 5 had a similarly annoying choice for its ending. As the wise Franklin, the only character of the three playable anti-heroes with a conscience, you’re left with an ultimatum near the end of the game: Kill Trevor, Kill Michael, or team up with both to kill all their enemies. The only choice that makes sense is the last one (even if killing Trevor is tempting). Red Dead Redemption 2’s big choice feels similar to that. It’s nonsensical. Arthur’s on death’s door and doesn’t need the money. He’s spent the last few chapters skeptical of Dutch’s selfishness and hotheaded decision making. Up until this firefight, he had a plan to help John escape with Abigail and their son Jack. Arthur knows it’s all spiraling out of control, but believes that it doesn’t have to be the end for those who have a chance at a future. He does everything in his power to help them. Arthur even goes to Dutch directly before the last robbery to insist that he let them go free following the train heist. Dutch, the spiteful man he is, returns the favor by leaving John for dead after the robbery goes wrong. When Dutch delivers the news that they « lost » John, Arthur glowers. Dutch isn’t the man who raised him anymore; or maybe he always was like this, but was better at disguising it. And yet, Arthur’s decision to help John escape or run back for the money is still left up to the player, for some bizarre reason. The ending where Arthur runs back plays out brutally at the edge of the gang’s camp as it goes up in flames. Micah and Arthur have a knife fight. When Dutch enters the situation, the three have a tense conversation after Micah has already driven a knife into Arthur’s chest. Dutch backs away as the fire burns away everything he once believed in. As Arthur crawls away, Micah—literally this time—stabs him in the back, killing him. Meanwhile, the logical decision—helping John escape up the mountain—has a more subtle choice of its own. Together, Arthur and John shoot their way up the cliffside. 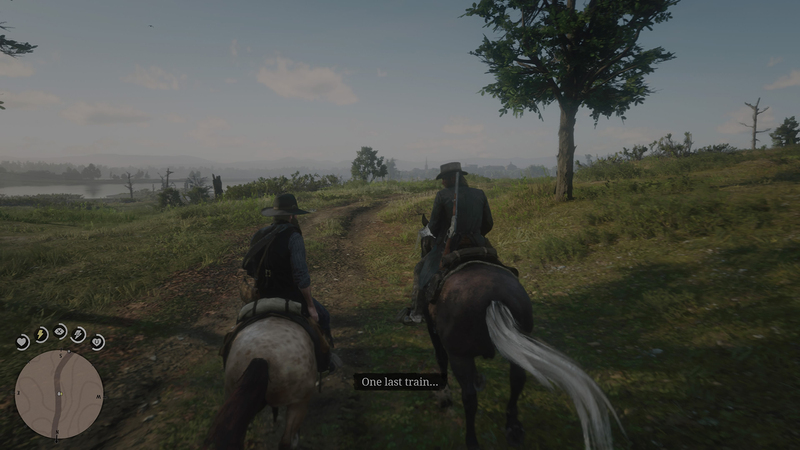 At one point, Arthur pauses and gives John his hat, and they share a solemn farewell as John makes his escape to his family. Arthur hangs back, and is found by Micah. The two have a fist fight on the cliffside before Dutch shows up, much like the bad ending. If Arthur’s Honor meter is high, he appeals to Dutch’s humanity. Micah leaves in a huff after Dutch backs away from both of them. 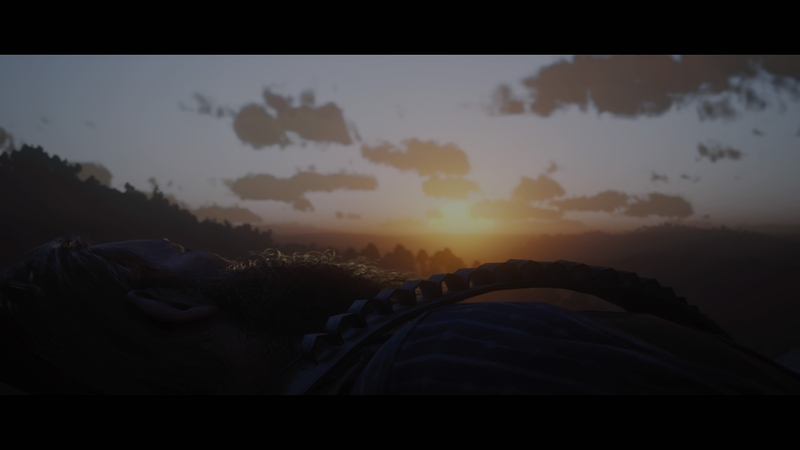 Arthur dies on the cliffside as he watches the sunrise, and that sad D’Angelo song chimes in again. In this ending, we see a buck in the light instead of a wolf in the dark like the two other endings. If Arthur’s Honor meter is low, the sequence ends with Micah shooting Arthur in the head, killing him. Both endings on the Help John path make sense, and feel natural to the plot and character development of the journey. Your Honor meter is something you manage throughout, threading whether you want to be a good or bad sort of outlaw. To have the endings depend on that—albeit a slight shift with the same general outcome—is more conducive to the story Red Dead Redemption 2 weaves. The button-prompted choice it throws in there, much like Grand Theft Auto 5’s, spits in the face of everything the game has set up. Arthur was never driven by greed, he was driven by family. In going after the money, his character arc is reduced to… taking what’s his, as he puts it with his dying breath. For a game that’s been so impressive in its character subtleties, to waver in such a big way in the final hurrah is a big disappointment. It’s the curse of player choice rearing its ugly head again: giving players options, instead of organically letting players’ actions lead them to a conclusion, which happens in the two alternates in the cliffside ending. I’m sauntering in the epilogue now, taking my time with concluding the arc of Red Dead Redemption 2. Arthur’s death saddened me a great deal—in my playthrough, I flip-flopped from being dishonorable to the most honorable outlaw this side of Saint Denis after watching Dutch kill Bronte so mercilessly. Arthur not only changed in that moment, but I did too. In reaching the conclusion, I feel like I made decisions my heavily bearded Arthur would make. The only thing I regretted was how foul I was at the start. I can’t imagine why a man who knows he’s already dying would chase after some money rather than help the man he grew up with. Because even when Arthur was villainous, he still cared about his people. In fact, that’s all he cared about. Save for Micah, and as the low-morale ending shows after helping John flee, he disses Micah one last time even with a gun pointed squarely at his face. As he should. For more on Red Dead Redemption 2, check out our extensive guides on the how to make money, find rare weapons, and more. We have a Red Dead Online beta guide as well.